Experienced Orland Park power of attorney lawyer. Have you ever thought about what would happen to you and your family if you were to become very ill or incapacitated? Most people don’t consider the potential negative impact the lack of forethought could have on their own health as well as on the welfare of their family. 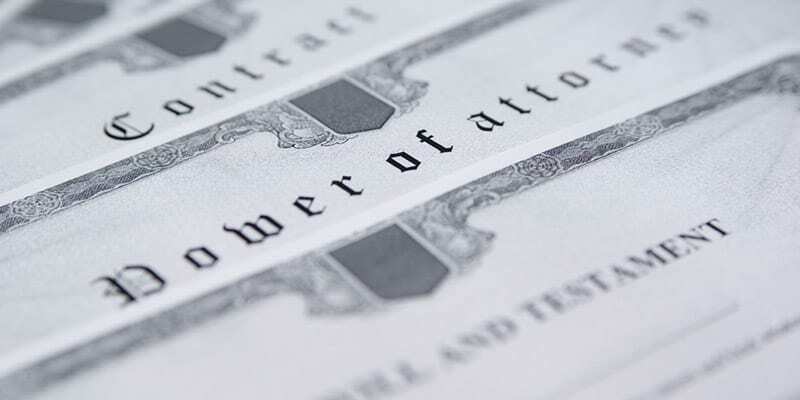 A power of attorney is a legal document that should be part of every estate plan. An Orland Park power of attorney lawyer will help you review your estate planning needs to establish the documents you need to protect you and your family. The attorneys at Johnson & Johnson, Ltd. are experienced in wills, trusts, power or attorney, and other necessary parts of an estate plan. An advance healthcare directive is also known as a living will. It provides important instructions regarding your health care, in the event that you are unable to make these decisions. An advance healthcare directive gives your doctor and your family information regarding how you want to be medically treated if you become incapacitated. If you are unable to communicate due to health deterioration, you will be secure in knowing that your wishes will be carried out. This includes treatment options, when to stop treatment efforts, and other end of life preferences. Power of attorney is the legal authorization allowing another person to act on your behalf. A power of attorney is a necessary document in every estate plan. It allows a person of your choosing to conduct business and have control over finances should you be unable to do so. Without a power of attorney in place it may be difficult for your loved ones to take care of bills, make payments, and handle your personal money matters. There are two main types of power of attorney that include a durable power of attorney and a health care power of attorney. A power of attorney is a legal document and must be properly written and executed, which is best completed by a reputable Orland Park power of attorney lawyer. As part of the power of attorney document, you must specify a person to assume power of attorney should you be unable to manage your affairs. This should be done with forethought because the appointee will have control over your finances. In the case of a health care directive, the person you choose will be able to make health decisions in some circumstances. Generally, a power of attorney is only valid while you are living and comes to an end at your death. At that point, your will and other estate documents take over and probate may by necessary. Consult with an Orland Park power of attorney lawyer to assist in creating your estate plan. Sometimes people may disagree regarding the power of attorney. When this occurs, it is necessary to seek help from a skilled Orland Park power of attorney lawyer. Your attorney will review the situation and evaluate your circumstances. If a power of attorney was not properly drafted or executed, it might not be valid. When litigation is necessary, your lawyer will determine what action is appropriate and will always fight for your rights. The power of attorney document can be complex because it has a long-lasting impact on you and your loved ones. It is essential to execute a document that precisely addresses the important decisions that must be made. A power of attorney should answer questions and provide exact instructions that are clear and concise. A poorly drafted document could raise more questions than it answers and leave your family in a difficult situation. Always choose an experienced Orland Park power of attorney lawyer to handle estate planning. Contact the skilled legal team at Johnson & Johnson, Ltd. to take care of all your estate planning needs.